Acclaimed Australian artist Heather B Swann travelled to Japan in 2017 to begin an extended period of research and artistic creation. The outcome, I let my body fall into a rhythm of which was showcased at BUoY Arts Center in Tokyo, to be followed by The Ian Potter Museum in Melbourne. 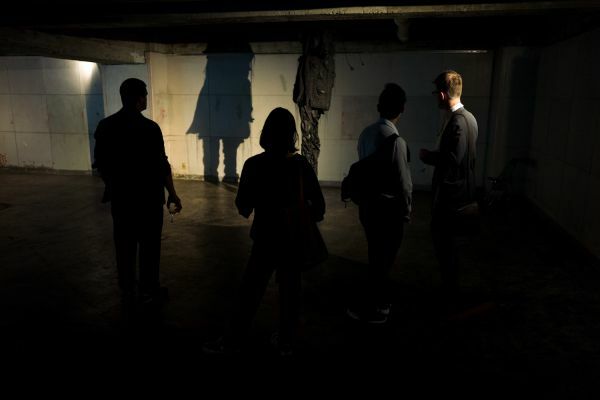 Asialink Arts developed the GPS commission structure to realise major projects for Australian artists that engage new global audiences and test their boundaries of creative practice. Envisioned as an extended creative exchange the commission structure has two key components. The first, intended to foster creativity through exposure to a new context. The second, allow for an extensive period of reflection and making, working towards a final presentation of the outcome at the conclusion of the project. 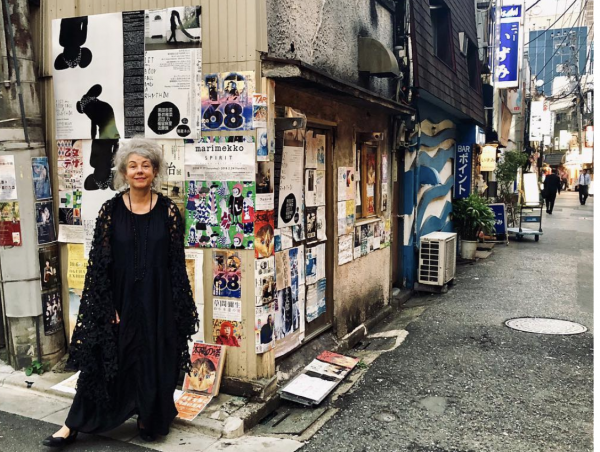 Based in Tokyo, Japan's capital and one of the most populated cities globally, Swann had the opportunity to engage with the local community and immerse herself in a new context. Swann's motivations for engaging with Japan specifically were varied. Ranging from her desire to "experience the intricacies of the Japanese sensibility firsthand," to eloquently identifying specific elements of her own practice that will benefit from exposure to Japanese culture. Celebrated for her ethereal artwork that traverse painting, sculpture, photography, dance, performance, video, sound and installation, Swann is known for exploring intense and extreme emotional states of being through her practice. The creative exchange component was fundamental to encouraging the development of new work, as this experience places artists in a new cultural context, providing an opportunity to be holistically—physically and emotionally—responsive. 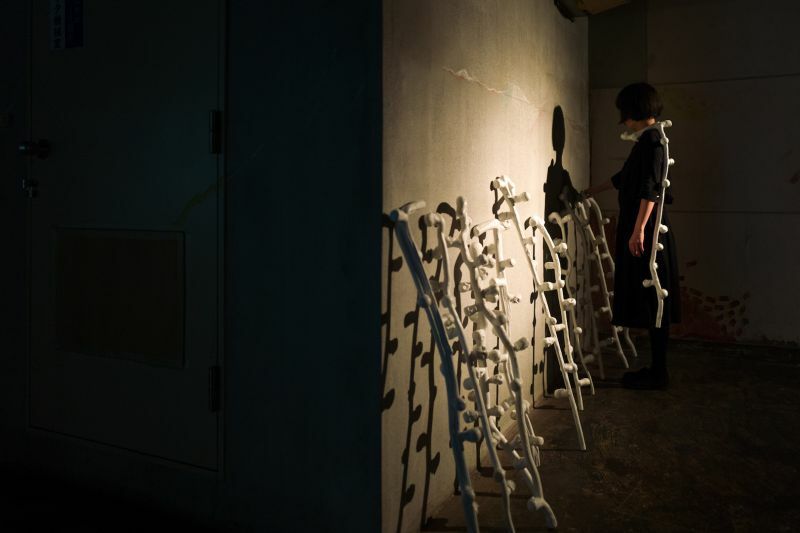 Swann's latest body of work expands on her acclaimed performance-activated installation Banksia Men (2015), with the introduction of new themes, forms and sounds inspired by her experiences in Japan. This includes the silhouette of the kimono and ouroboros motifs (snake eating its own tail symbolising cycles), in addition to referencing work by renowned Japanese artists; specifically Daidō Moriyama's visual asethetic and the eye motif as seen in Eikoh Hosoe's Kamaitachi No.31 (1968). Reflecting an artist's desire and ability to keep oneself busy through action and making, hands reappear in a number of the works. They are seen creating sounds from sewing a needle through silk, tapping glasses with spoons and hammering nails into the floor. The noise made from these small actions overlap and reverberate throughout the exhibition space, intentionally enveloping the viewer, working to "create and disrupt variations in rhythms". 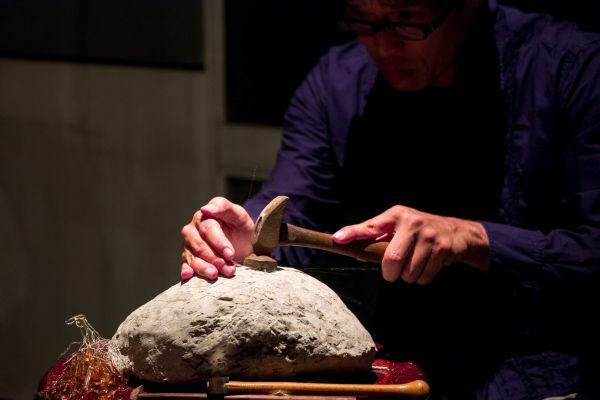 This sound scape is shaped further by the alternating activation of Swann's soft sculptures and apparatuses by local performers Mari Fukutome, Tsuyoshi Kondo, Anna Kuroda, Wakana Arai, Nell, and Riki Takeda. Here the figure is shielded, whether enveloped, wrapped, masked or absorbed by the pieces. 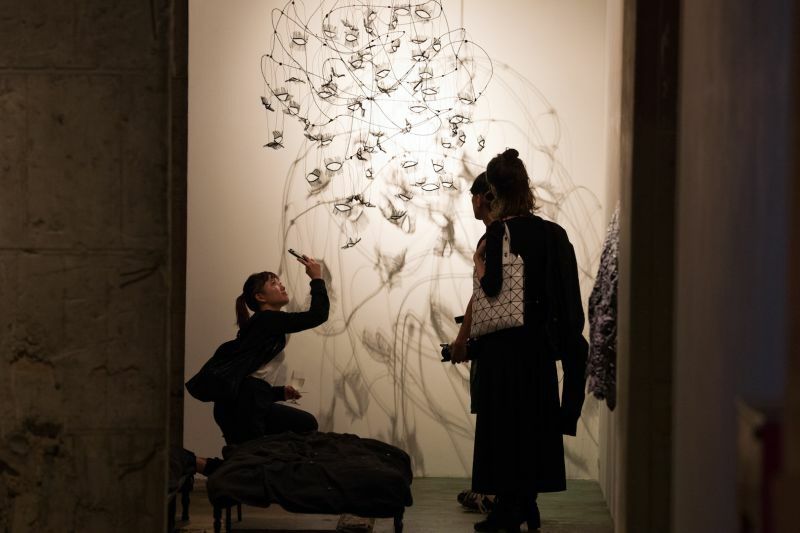 This action provides insight into Swann's personal experience engaging with a new cultural context and forming working relationships with artists in Asia. Heather B Swann's I let my body fall into a rhythm will continue to evolve when her work is presented at The Ian Potter Museum in Melbourne from 22 - 25 November 2018.